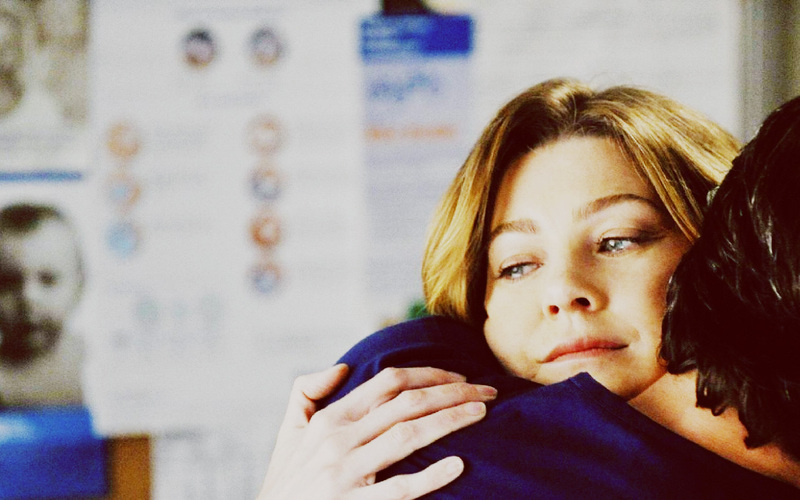 Meredith/Derek. . HD Wallpaper and background images in the Grey's Anatomy club. This Grey's Anatomy wallpaper might contain haube, porträt, kopfbild, nahaufnahme, portrait, headshot, and kopfschuss.